When the weather warms, it’s natural to want to open the windows, clear the air, and discard all of the extra “stuff” that has accumulated over the winter. For seniors, this kind of spring cleaning is especially important. Clutter free environments are safer to navigate, less stressful, and can even help reduce allergies. 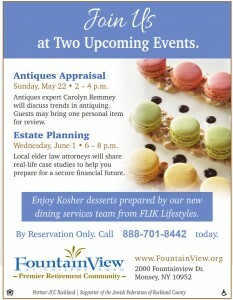 And, if you’re planning a move to a senior living community, clearing out clutter first will make the move much easier. However, many seniors feel overwhelmed by decluttering an entire home, especially if there are physical limitations, or they came of age in the Great Depression and are fearful of letting go of items. Cutting the clutter can be a big project for seniors and the family members helping them. Sometimes the hardest part is just getting started! If you’re helping a senior declutter, here’s how to make the process easier. Start by choosing one area to declutter, like the dining room, or one category, like mail or food. 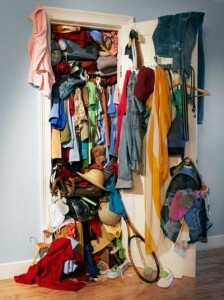 Decluttering an entire home is a big job, but breaking the job into smaller tasks will make it more manageable. For the first area or category, choose something that doesn’t have too much emotional attachment, like piles of mail. Seeing results in one area helps build momentum to tackle to the tougher projects, and will make it easier when it’s time to sort through more emotionally weighted items, such as clothing, memorabilia, and heirlooms. Use a timer to set a time limit that will be manageable for you and your loved one. For example, set a time limit of three hours. Using your timer, work in twenty minute increments, take breaks, and leave the last twenty minutes for clean up. Be ready with three large bins or boxes: one bin for items to keep and put away, one for items to throw away or recycle, and one for items to donate. Sort each item into a bin as soon as you have it in your hands. Sometimes an extra box for items to repair can be helpful, but if your loved one has a tendency to hang onto broken items with plans to fix them “someday,” the bin for this category should be small. Choosing which items to keep, give away, or throw away is a matter of personal preference and will be different for everyone. But, there are some items that should be discarded, no matter what! Expired medications. Follow disposal instructions on the container, return the medication to a “take-back” program at a local pharmacy or hospital, or visit the FDA website for further instructions. Expired / old cleaning products. Look for corroded tops, products that have changed color, and items that clearly have not been used in a while. Other safety hazards. Search the home for safety hazards such as appliances with broken plugs, or piles of magazines or books on the floor. This is also a good time to move items that are too high or low to reach, or are blocking a hallway or stairs. A professional decluttering service or senior move manager may be the right choice if the space being cleaned is very large, or the task is likely to cause tension in the family. A neutral, experienced third party can make the process move more quickly and easily. If you are planning a move for your loved one, ask local senior living communities to refer a senior move manager, or check with the National Association of Senior Move Managers. Has your decluttering yielded some treasures? 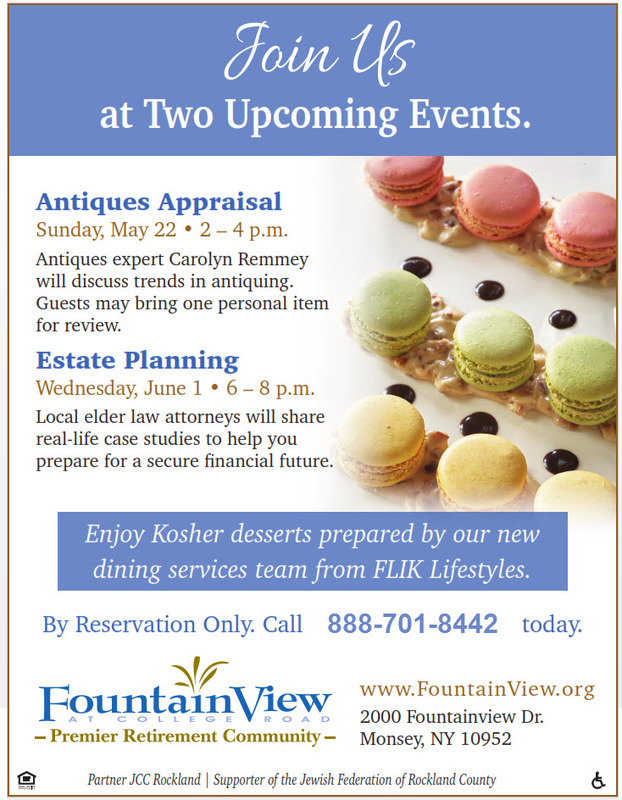 Join us on May 22nd for an antiques and appraisal and discussion!